"My goal is to provide clients with customized financial plans that address their short-term and long-term goals. An ongoing process, defined by their plan, allows us to navigate life changes and the financial markets." LPL Financial Advisor Chelsea Paddock, AAMS® is committed to helping you pursue your financial objectives. As your goals change over time, Chelsea and the Old National Investment Strategies Team will actively monitor your investments and work closely with you to formulate an individualized roadmap to help you invest, diversify your holdings and pursue your plans for the future. Chelsea has nine years of experience with Old National Investments. 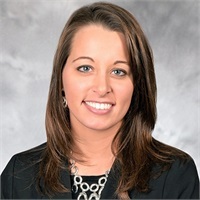 She received a bachelor’s degree in Business-Finance from Indiana University and Accredited Asset Management Specialist designation from the College for Financial Planning.